Apple is on a roll – today it’s upgrading the AirPods. The second generation truly wireless earbuds comes with (optional) wireless charging, improved battery life and hands-free “Hey, Siri”. The company unveiled the Qi wireless charging case. It's optional because the new AirPods come with a regular case by default, this combo costs $160 (charging is done over a Lightning cable). If you want the new AirPods plus the Qi case, the cost goes up to $200. There’s some good news for owners of first generation AirPods – the Qi case is backwards compatible and available on its own for $80. It has a Lightning port too, for those occasions when there’s no Qi mat handy. The second generation wireless Apple buds have new features, which may make you want to upgrade anyway. For one, you can now wake up Siri completely hands-free (no need to double tap like before). And, if you use the headphones with multiple devices, the new models are twice as fast when switching between e.g. your iPhone and your MacBook. 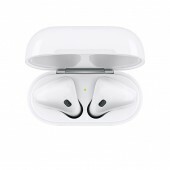 Plus, the second-gen AirPods are powered by the new H1 chip, which supports Bluetooth 5.0 (up from 4.2) and is more power efficient. This means that the talk time rating has gone up by 50% - that’s an extra hour of phone calls before you need to put the buds back in their case. The charging cases – both the wired and wireless ones – extend the total battery life of the AirPods to 24 hours. 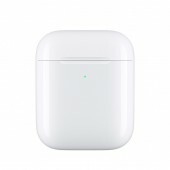 The new AirPods are available right now on Apple.com. 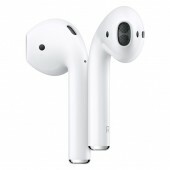 When will Apple AirPod in India be available? duhh?? No! Airpods 1 came out way before Samsung Buds. Perhaps, if you don't know it, Google is your option to look for!